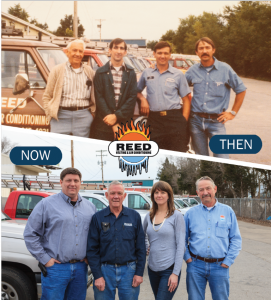 Reed Heating & Air Conditioning in Columbia, MO finds the perfect heating and air solutions for the residents and commercial businesses of Boone County. As a 3rd generation owned & operated heating and air conditioning service, we cater to customers of all kinds by tackling any problem we encounter. We pride ourselves in finding solutions that will save you time, money, and stress. With decades of experience behind us, we stand behind our work. Our loyal technicians provide the best customer care and equipment possible. We’re not in this business to make money, we’re here to provide quality service to our customers.